The Stagecoach Inn was built in 1853 as a Stagecoach stop between Milwaukee and Greenbay. Ideally located within Cedarburg's Historic District, only 20 minutes north of Milwaukee and within walking distance of many restaurants, shops, galleries, parks and a winery, it is a perfect getaway. The Inn also features a chocolate shop and a pub on the first floor. The main stone building includes 9 guest rooms; 3 whirlpool suites, 1 very large room on the first floor with a sitting area and 5 more rooms on the 2nd and 3rd floors. The Weber Haus, built in 1847 is across the street and includes 3 whirlpool suites, 2 with fireplaces and a secret garden in the back of the building. The Inn and Weber Haus are totally non-smoking. All major credit cards are accepted and reservations are encouraged but walk-ins are always welcome. Gift Certificates are available; and mid-week winter rates begin in January and end in April. 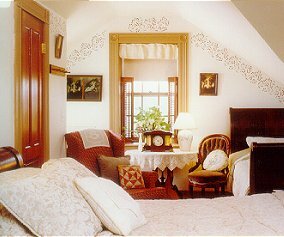 The Stagecoach Inn is truly a memorable getaway, blending romance with history. 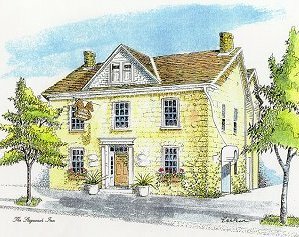 This and other Cedarburg Wisconsin Bed and Breakfast Inns can be found here in The Register.